X-Men - Vol. 1, No. 21 - Marvel Comics Group - June 1993 - Buy It Now! Marvel X-MEN 21 - 49 (1993) FATAL ATTRACTION! SCOTT/JEAN WEDDING! LEGION QUEST! 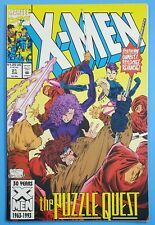 X-MEN VOLUME II #21 THE PUZZLE QUEST MARVEL 1993 NICE!!! 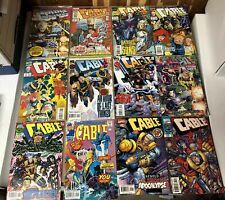 CABLE (VOL. 1/1993) - # 21-30 SET/LOT (X-MEN) !!! X-Men #21 (Jun 1993, Marvel) The Puzzle Quest Ft. Gambit, Psylocke, & Revanche! This page was last updated: 22-Apr 15:20. Number of bids and bid amounts may be slightly out of date. See each listing for international shipping options and costs.